What is Momentum? 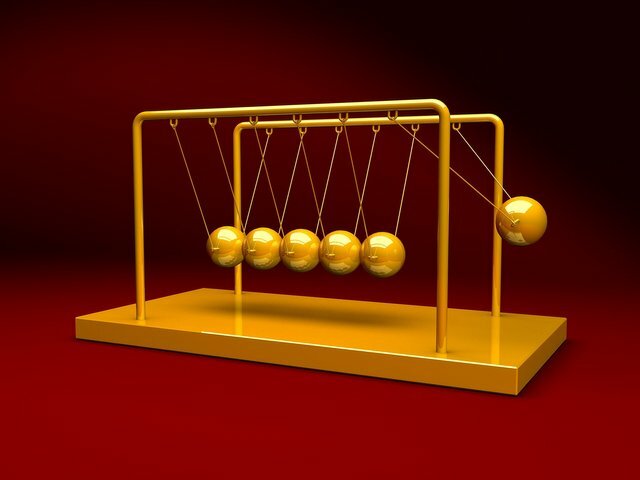 Momentum is a driving force that is gained through a chain of events. In other words, it is gained through the process. Most people have experienced this driving force of momentum in life. Perhaps through "winning" the dating game or moving to a new town, city, or country and starting over with life. Last but not least, momentum can be gained through a workout plan or exercise routine. How does a person gain momentum and all of a sudden lose it? Let's go through 3 scenarios and example stories when momentum is gained and all of a sudden lost. In these scenarios, we will talk about what went wrong and what the person should have done instead. Pro tip: Take some notes while reading through the scenarios and stories. On January 18th, 2011, a person named Jack decided to call up his friend Alex to see if he wanted to hang out and get a group of friends together at his house for a BBQ over the weekend. Alex agreed and called up a bunch of his friends and sent out invitations through Facebook invite. Jack, all excited, decided to call up a DJ to spin club music at the BBQ. It's Friday, Alex and his friends show up at Jack's house for the BBQ. As people begin to show up, Jack notices a beautiful woman and is stunned by "love at first sight." Jack asks Alex "Who is she?" Alex replies "I don't know." Jack, with confidence, goes over to her and introduces himself and discovers that her name is Angel. Jack asks for Angel's number and BOOM Jack got her number. The BBQ is going great, Jack got Angel's number. He can feel the momentum and excitement. Jack, feeling cocky and excited about life decided to act like a jock and began to start more conversations with Angel. Jack says to Angel "Want to go for some dinner sometime?" Angel agreed and started to blush. Jack is feeling the momentum. The BBQ is going great, he got Angel's number and she agreed to go for some dinner. Now, this is where Jack messed up and loses all momentum. Jack, with his cockiness and jock like attitude, notices another beautiful girl and asks for her number. DENIED. Angel notices this and with disbelief insults Jack and leaves the BBQ. Jack loses all momentum and confidence. He decided to end the BBQ and call it a night. Jack messed up when he tried to get another ladies number when Angel was around. He should have continued the conversations with Angel instead. The momentum could have carried over to dinner with Angel and who knows? Jack could have been dating Angel. Love, at first sight, is rare and Jack ruined his chances with Angel. On November 5th, 2013, James received a phone call from Blockbuster about a new job offer in Houston, Texas. James, filled with excitement and disbelief, agreed to take the job position as District Manager of Blockbuster. James sold all of his stuff and with just a backpack, took a flight out to Houston, Texas. He signed a lease for an apartment just a few blocks from Blockbuster. James was excited to start a new life and career. It was the weekend and James just moved to Houston, Texas and his new job starts on Monday. James decided to go to a local coffee shop to meet new people through the App "Meet Me." James had the best night of his life when he met 3 amazing people. All of them got along so well with James and exchanged numbers. All of them agreed to hang out again next Friday. James can feel the momentum. He got a new job, moved to a new city and met 3 potential best friends. He can't wait to start his new job and meet his co-workers. It's Monday morning and James arrives at the Blockbuster parking lot. He notices a sign outside Blockbuster that reads "Closing Soon." James was confused and called up his boss asking for an explanation. His boss panicking "sorry, Blockbuster is closing soon and we have to close down this store and fire all of the employees." James was furious. He asked his Boss "how did this happen? His boss replied "the stock markets... I don't know, we just got a phone call from Blockbuster headquarters that Blockbuster is going out of business." James loses his chill and screams at his boss for ruining his life and making him move to Houston, Texas for nothing. James was so upset and over texted his 3 new friends. No response. James lost all momentum in starting a new life in Houston, Texas and decided to break his lease at the apartment complex. James messed up when he screamed at his boss, over texted his friends, and broke the lease at the apartment complex. He should have pulled through and come up with a plan to continue living in Houston, Texas. He lost momentum when he lost his job at Blockbuster. Had he not lose his job, he could have met his co-workers, gain even more momentum in life, and build a network of friends. On June 10th, 2017, Melinda wanted to make major changes in life and start a workout/exercise plan. With excitement, she googled the best possible methods to lose weight. Her goal was to lose 10 pounds by the end of the Summer. After signing up for gym membership at the YMCA, she decided to start her new workout plan on Monday. She also went shopping for new workout clothes and found a cute pair of pink Nike running shoes. It's Monday and Melinda wakes up and puts on her running attire and Nike running shoes. She heads over to the YMCA gym at 6:30 AM to start her new workout plan. She goes to the gym about 5 days a week. A few weeks went by and Melinda with her momentum lost 5 pounds (just about half of her goal completed). Melinda has momentum going for her and just needs to lose 5 more pounds. It was the weekend and Melinda decided to cheat a little to celebrate her success of losing 5 pounds. Melinda ate 3 slices and drank coca cola. Melinda missed the taste of pizza and decided to order another pizza on the next day. She realized that she cheated too much. Come Monday, she didn't feel like working out and called up the gym to cancel her membership. Melinda quit her workout plan and lost all momentum. Melinda gained back the 5 pounds that she lost and decided to order more pizza on the weekend because it tastes so good. Melinda messed up when she ate too much pizza and quitting her workout plan. She should have never quit her workout plan and eat too much pizza. Had she not decide to quit and give up on her goal, she would have continued on, gain the momentum back and finish her goal 100 %. What can we learn from momentum? Momentum is an amazing driving force. When you gain momentum, be careful and make sure you don't lose that momentum. When you mess up, tomorrow is a new day and that momentum can be restored if you don't give up. Be careful. Sometimes that momentum can't be restored since it depends on the situation or scenario. There is a lesson to be learned from losing momentum. Have an amazing weekend! Until next time. @rocketblog, I gave you a vote! Resteem your Posts to 10600+ Followers — just send 0.1 SBD or STEEM to @yougotresteemed with link in memo (you also will receive a 100% upvote)! You have a reputation of 30+? Make sure to grab your Steemit only Byteball Airdrop worth up to $160 USD. 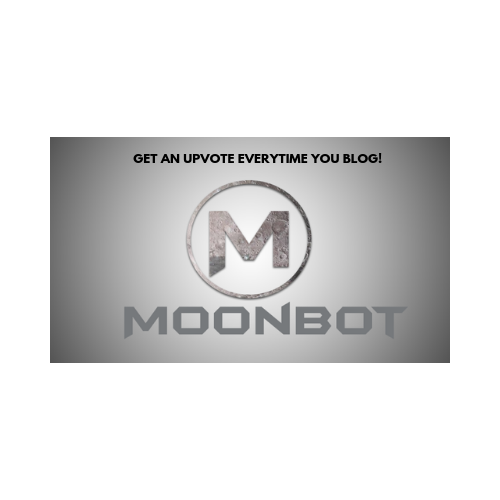 For daily bloggers we offer a Resteem subscription including at least one Resteem a day and a daily feature + daily upvotes! 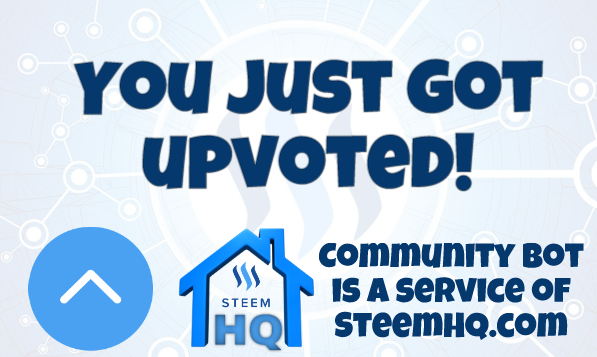 you just received a 15.11% upvote from @steemhq - Community Bot! Congratulations! This post has been upvoted from the communal account, @minnowsupport, by rocketblog from the Minnow Support Project. It's a witness project run by aggroed, ausbitbank, teamsteem, someguy123, neoxian, followbtcnews, and netuoso. The goal is to help Steemit grow by supporting Minnows. Please find us at the Peace, Abundance, and Liberty Network (PALnet) Discord Channel. It's a completely public and open space to all members of the Steemit community who voluntarily choose to be there.